At the end of the David Moyes era, United fans were in shock and dismay. After being dumped out of the Capital-One Cup at home to Sunderland (losing on penalties), preceded by a 3rd round FA Cup defeat again at home against Swansea, followed by a footballing lesson in the Champions League Quarter-Final stage against Bayern Munich, and then to top it all off finishing 7th in the Barclays Premier League, it’s fair to say Man Utd fans were worried. However, with new manager Louis van Gaal splashing the cash in the summer transfer window, have these new signings allowed United fans to forget about last seasons atrocities? Although it’s still very early days into the season, a judgement can still be made about how Manchester United have done so far. After signing Angel Di Maria, Ander Herrera, Daley Blind, Luke Shaw, Marcos Rojo and Radamel Falcao (on a season long loan) Manchester United sent out a message to the footballing world, saying that they wanted their crown back. The David Moyes era had really tarnished the United name, and the aftermath of this was shown when Swansea were victorious in a 1-2 win at Old Trafford on the opening day of the season. £149million later, along with the promotion of youth players Tyler Blackett and Paddy McNair, Man Utd sit pretty in 4th position. Out of all the signings, Angel Di Maria seems to have made the biggest impact. You’d think that his £59.7million price tag would be a burden on him, but it seems that he has been significantly empowered with his move to the 13 time Premier League champions. The greater majority would think that a move from Real Madrid to Manchester United would be a step down (especially after Madrid achieved La Decima) but for Di Maria, it seems to have only enhanced his development. At Madrid Di Maria was never considered “The Man” unlike Ronaldo, or Messi is for Barcelona. However, for the first time in his career Angel Di Maria is the superstar, the totem, the central figure of his team. Di Maria has embraced his hefty price tag, and looks even more dangerous and empowering on the pitch than ever before. In the two matches that he’s played 90 minutes, he’s had more touches than any other player on the pitch. Three goals accompanied with three assists are statistical confirmation of a hugely impressive start as the new United number 7. As spectacular as his passing and vision may be, the greatest assets he brings to the Old Trafford faithful is his speed and direct running. David Moyes’ United were one-paced and boring, yet it may be said they were same during the last few seasons under Sir Alex Ferguson. All the great Manchester United sides have the common theme of speed and tempo, and Di Maria has started the restoration of that fundamental corner-stone. He gives United a purpose and an urgency that has been missing ever since the departure of Cristiano Ronaldo, the last player that got United fans constantly out of their seats like Di Maria does. 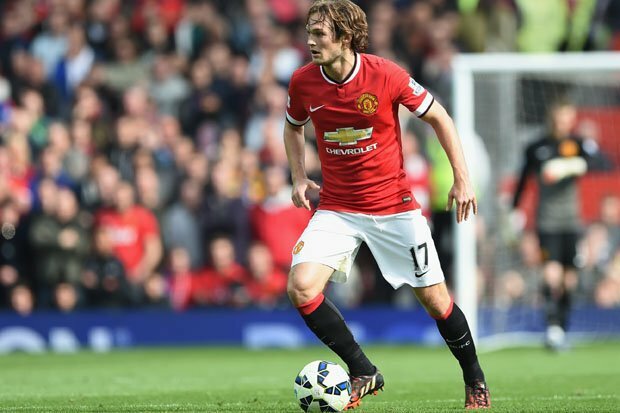 Daley Blind is another player that mustn’t go unmentioned. He is a player that the Manchester United midfield has been crying out for, for many a year. Blind can be defined as a continuity player for United, along with the responsibility of sniffing out danger and blocking all avenues that lead to his goal. He’s not a player that dives into tackles, or hacks players down, but rather one that leans more towards anticipation and interceptions. His brilliant football brain doesn’t just allow him to read the game like a book, but also the vision to play a pass and execute it illustriously. Herrera, Shaw and Rojo have all been impressive in recent matches (Shaw and Rojo especially against Everton) but Blind and Di Maria have been the stand out players, although Blind doesn’t get the recognition deserved. Am I saying that Manchester United are going to go on and win the League? No, but with a few more signings (especially in the centre-back and central midfield department) they can most certainly return to where they were back in 2013. 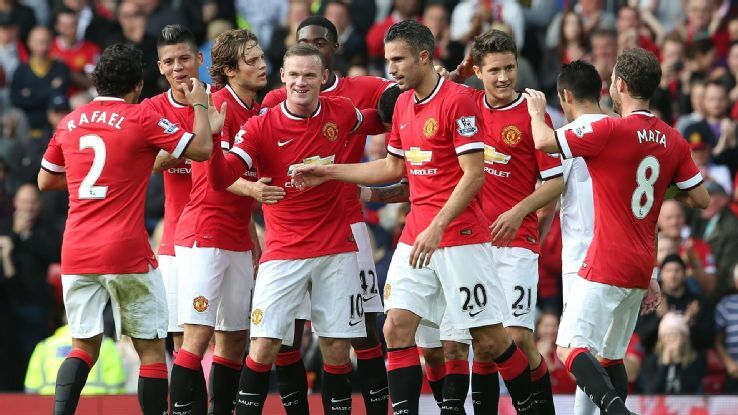 Perhaps number 21 (United currently have 20 Premier League/Division 1 titles) isn’t far from being obtained.